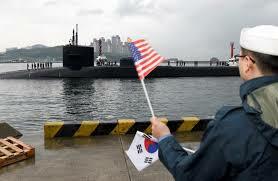 US submarine arrives in South Korea amidst tension – Royal Times of Nigeria. 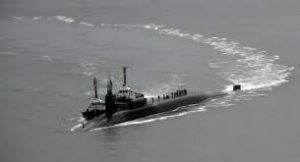 A US submarine has arrived in South Korean waters, while envoys from the US, Japan and South Korea met in Tokyo to discuss rising tensions with North Korea. The missile-armed USS Michigan is set to join an incoming group of warships led by aircraft carrier Carl Vinson. Pyongyang reportedly marked the eighty-fifth anniversary of the founding of its military on Tuesday by conducting a large artillery drill. Tensions have risen in the area in recent weeks, with the US and North Korea exchanging heated rhetoric. Experts fear Pyongyang could be planning more tests as it has marked some key anniversaries in the past with nuclear tests or missile launches. At a “national meeting” of thousands of senior military and civilian officials the day before, Pak Yong-sik, North Korea’s defence minister, reiterated that the country is ready to use pre-emptive strikes or any other measures it deems necessary to defend itself against the “US imperialists”.